I am very glad I took the decision to make an internship at the South Caucasus Regional Office of the Heinrich Boell Foundation in Tbilisi. Thanks to very welcoming colleagues, the director's efforts to include me in as much as possible of the on-going work, as well as the cosy ritual of shared lunch breaks I came to feel like part of the team quite soon after my arrival. Working on several projects in the spheres of politics, economics, human rights and culture simultaneously was challenging, but gave me a splendid introduction to current issues and interrelations in Georgia and the South Caucasus. While assisting the hbs during a working trip to Armenia and in the planning and implementation of a Summer School in the frameworks of the Regional Scholarship programme, I gained valuable experience and met many fascinating people. Especially interesting for me was the independent writing of research papers, through which I acquired in-depth insights into the subject areas, developed my research skills and found inspiration for my Master's thesis. 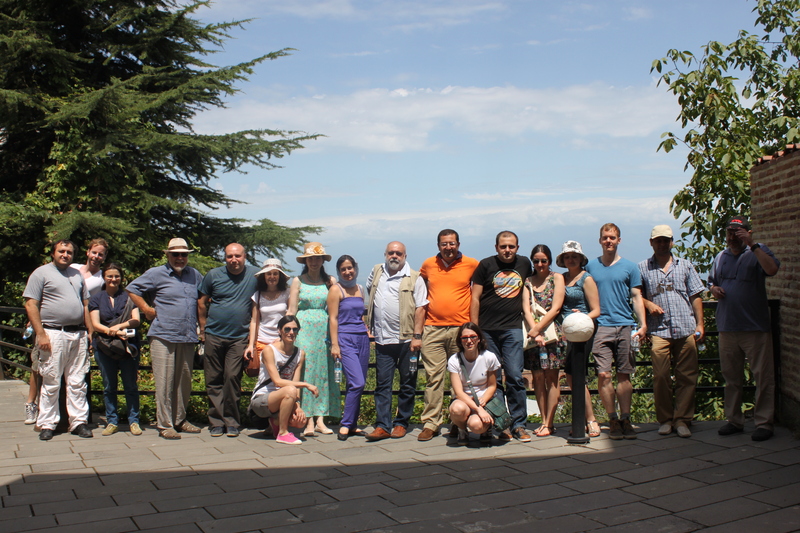 Looking back, the three months in Tbilisi were intense, interesting and highly instructive. I recently graduated with a joint Master's in Politics and Security from the UCL School of Slavonic and East European Studies and Jagiellonian University Krakow and am presently working as a trainee at the Delegation of the European Union to Uzbekistan in Tashkent.